What is life, if not a quest? The experience of finding oneself and making sense of the nature of your being. A personal journey of self understanding and discovery that makes each individual the hero in a tale all their own. In his review of The Return of the King, W. H. Auden in At the End of the Quest, Victory (1956) noted life as he or I experiences it, is primarily a continuous succession of choices between alternatives made for short or long-term purposes and says “For objectifying this experience, the natural image is that of a journey with a purpose, beset by dangerous hazards and obstacles, some merely difficult, others actively hostile” (Auden). Jason T. Duffy in his paper A Heroic Journey: Re-Conceptualizing Adjustment Disorder Through the Lens of the Hero's Quest (2010) presented an overview of fiction-based bibliotherapy using concepts of both Carl Jung and Joseph Campbell to re-conceptualize adjustment disorder. In it, he stated “The Jungian archetype in which Campbell was most interested, one that appears in various guises countless times in fables, fairy tales, stories, song lyrics, epic poems, and contemporary movies, is the hero’s quest. This hero’s quest archetype is what Campbell (1989) calls 'the essence of mythology' (p. 23)” (Duffy, p. 5). 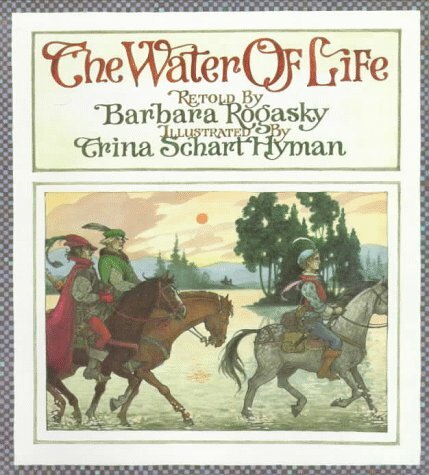 It is on this foundation of folklore, connecting the Grimm tales of The Waters of Life, Rapunzel, and Cinderella, that I build a brief analysis of the hero's quest. The Quest is one of the oldest, hardiest, and most popular of all literary genres. In some instances it may be founded on historical fact— “the persistent appeal of the Quest as a literary form is due, I believe, to its validity as a symbolic description of our subjective personal experience of existence as historical” (Auden, The Quest Hero). It could be said that a work is a reflection of it's creator, and while the truth in this statement is debatable as a person is independent of their work—as is a viewer, but both are dependent on their personal experience in relation to the work. The Quest is one of the oldest and most popular of all literary genres. In some instances it may be founded on historical fact—the quest of the prince may well have historical basis in that younger brothers of the heir to kingdoms looked to increase their lot in life through adventure and feats that would distinguish them. A notable example of this lies with Prince Charles of Valois, the younger brother of King Philip the Fair of France, who made himself known as an adventurer and seafaring man and who at different points in his life, was titular king of Sicily, Aragon, and Emperor of Constantinople. 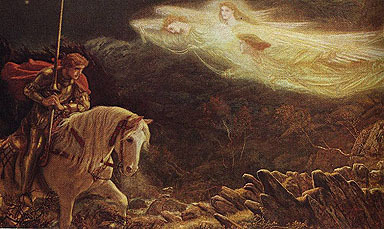 Of course this idea of the second son is not true for all tales, as Cinderella features the apparent heir in search of his 'true love', but “the persistent appeal of the Quest as a literary form is due, I believe, to its validity as a symbolic description of our subjective personal experience of existence as historical” (Auden, The Quest Hero). It doesn't truly matter whether the actions of the prince to venture out in search of a wife instead of finding a lady at court are rational. There is a suspension of disbelief takes hold when reading stories of a man climbing a maiden's hair or a woman being able to run in glass of all things. Perhaps not the best examples, but Swiss psychiatrist Carl Jung believed in two layers of unconscious: the collective unconscious and the personal unconscious. Jung named the contents of the collective unconscious “archetypes,” and according to him, there are numerous archetypes that exist a priori in the human mind: including the mother, the child, the wise old man, the self, and more importantly for this analysis, the quest of the hero. The personal unconscious, Jung thought, “is unique to each person, populated with contents collected through experience and personal acquisition (Jung, 1980)” (Duffy). Acquisition. When looking at the plight of the hero one finds that he is always in search of something. Auden claims “The world of knightly proving is a world of adventure. It not only contains a practically uninterrupted series of adventures; more specifically, it contains nothing but the requisites of adventure”. 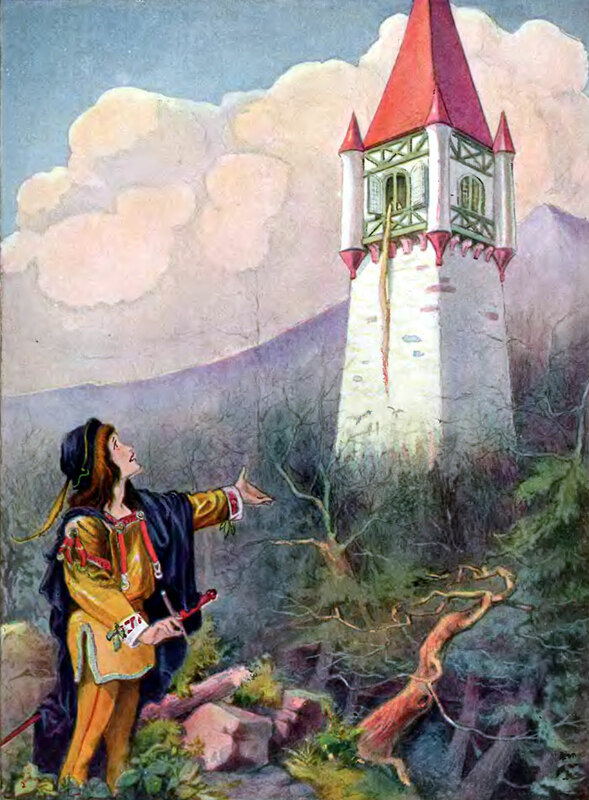 In Rapunzel the prince comes upon a maiden in a high tower, and despite the witch who watches over her, he climbs the girl's hair to be with her. But the ease of which he attains this woman is not as it first seems. Indeed, in P. Ellen Malphrus' analysis of The Prince of Tides as Archtypal Hero Quest it states “the adventure develops into a journey of darkness, horror, disgust, and phantasmagoric fears” (Campbell Hero 121)” (Malphrus, 2007 ). This comes to pass when the witch is there to meet the prince in the tower and circumstances leave the man to wander blind through the wilderness. Though his initial meeting with the princess may well have come in part through a happenstance encounter as he strolled through the countryside, the purpose of his seeking her out may lie with more than simply her supposed beauty and voice. Auden noted critics have called Tolkien's Lord of the Rings trilogy 'escapist' reading, but that need for escape does not elude the characters. “Except feats of arms and love, nothing occurs in the courtly world-and even these two are of a special sort: they are not occurrences or emotions which can be absent for a time; they are permanently connected with the person of the perfect knight, they are part of his definition, so that he cannot for one moment be without adventure in arms nor for one moment without amorous entanglement... His exploits are feats of arms, not 'war,' for they are feats accomplished at random which do not fit into any politically purposive pattern.” (Auden). These adventures and quests for something more are the hero's escape from what he sees as a droll and uneventful life. In Cinderella the prince's search for this fair lady, though not entirely a quest, becomes less about finding the woman, and more about finding a reprieve from his everyday life. 1) A precious Object and/or Person to be found and possessed or married. 2) A long journey to find it, for its whereabouts are not originally known to the seekers. 3) A hero. The precious Object cannot be found by anybody, but only by the one person who possesses the right qualities of breeding or character. 4) A Test or series of Tests by which the unworthy are screened out, and the hero revealed. 5) The Guardians of the Object who must be overcome before it can be won. They may be simply a further test of the hero's arete, or they may be malignant in themselves. 6) The Helpers who with their knowledge and magical powers assist the hero and but for whom he would never succeed. They may appear in human or in animal form. On the matter of structure in these hero quests, it is said “what Campbell (2008) calls the 'nuclear unit of the mono-myth' and the 'essence' of the hero’s quest can be conceptualized as: separation, initiation, and return (p. 23). Campbell (2008) describes the metaphorical hero’s journey as a basic structured” (Duffy). As with The Waters of Life we see elements of this structure in Rapunzel when the prince leaves the princess in the tower only to return, and again after wandering in the wilderness and he comes upon her and the children. In Cinderella we see a dual return from the maiden and the prince as Cinderella repeats her visit to the ball to see the prince and upon separation and the attainment of the Precious Object, the prince seeks out Cinderella in turn. Auden states that in many versions of the Quest, the winning or recovery of the Precious Object is for the common good of the society in which the hero belongs. He claims that even when the goal of his quest is marriage, it is not any girl he is after, but a princess, though in Cinderella we see the truth in his first assumption, but the latter does not hold for this tale as the girl the prince seeks is simply but a girl. Speaking on the motives of the prince, he then claims their personal happiness is incidental to the happiness of the city and in turn, would do well for the governing of the kingdom and soon consolidate an heir. On the matter of the two types of Quest Hero Auden speaks on, the hero of epic whose superior arete manifests itself to all and other, common in fairy tales, the hero whose arete is concealed, I first draw back to The Waters of Life in which the youngest son, the weakest and least clever whom is considered unlikely to succeed, turns out to be the hero when those who seemed superior have failed. Much like Cinderella, he owes his success, not to his own powers, but the fairies, magicians, and animals who help him along the way. He is able to enlist their help because “unlike his betters, he is humble enough to take advice, and kind enough to give assistance to strangers who, like himself, appear to be nobody in particular” (Auden). Robert Quinn wrote in his book Deep Change (1996) “The hero’s journey is a story of individual transformation, a change of identity. In embarking on the journey we must leave the world of certainty. We must courageously journey to a strange place where there are a lot of risks and much at stake, a place where there are new problems that require us to think in new ways…we must engage and resolve the problems before us.” The hero’s quest is a universal story of personal development and transformation, which is full of all the adventure, hardships, and vicissitudes of life. This rings true in fairy tales, as with reality. We are all heroes. Life is our quest. Student, Star. AudenTheQuestHero.pdf (n.d.): n. pag. Web. Jason T. Duffy (2010).A Heroic Journey: Re-Conceptualizing Adjustment Disorder Through the Lens of the Hero's Quest.Journal of Systemic Therapies: Vol.29, No.4, pp. 1-16. Auden, W. H. "At the End of the Quest, Victory." New York Times. New York Times, n.d. Web. Rapunzel and Family. Watercolor on paper, pencil. Unknown artist. Wikipedia. Prince Calls on Rapunzel. Wikipedia.